WHITMAN — Three people face charges after an early-morning house-break on Beulah Street Tuesday. 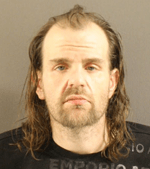 Police were called at about 2:37 a.m., on Tuesday, Dec. 30, from a resident on Beulah Street reporting hearing a window smash and then, while looking out the window, observed two men putting items into the trunk of a vehicle. Cruisers arrived in the area and called for mutual aid. Hanson and East Bridgewater police departments responded as well as the Plymouth County Sheriff’s BCI and K-9 Units. All responding officers working together immediately set up a perimeter and began a search for the suspects. All three suspects were captured and placed under arrest in less than one hour. The two males allegedly broke into a garage on West Street and then returned to the vehicle being driven by a female suspect to place the stolen items in the back seat and trunk. The female acted as a lookout/getaway driver for the two males, according to police. She had two two-way portable walkie-talkie radios in the front seat by her side. The suspects’ car was recovered and towed to the Whitman police station to be inventoried. The vehicle was recovered and towed to the police station to be inventoried. Stolen property that was recovered is estimated to be worth in excess of $3,000. 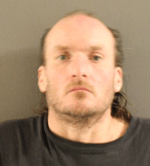 In addition to the recovered property, $4,669 in cash was seized from one of the male suspects identified as Christopher S. Jansky, 38, from Chatham West Drive, Brockton. Jansky was charged with trespassing, disorderly conduct, disturbing the peace, resisting arrest, conspiracy, breaking and entering a building in the nighttime for a felony, larceny over $250 and three outstanding warrants in Brockton and Quincy District courts. The other male suspect arrested was identified as Kevin Kailher, 46, from Chatham West Drive, Brockton. Kailher was charged with trespassing, disorderly conduct, disturbing the peace, resisting arrest, conspiracy, breaking and entering a building in the nighttime for a felony, larceny over $250. The female suspect arrested was identified as Suzanne M. Sommer, 34 years old, from Chatham West Drive, Brockton. 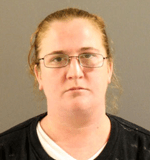 Sommer was charged with conspiracy, breaking and entering a building in the nighttime, larceny over $250, receiving stolen property over $250 and one outstanding warrant in Brockton District Court. All three suspects were transported to Brockton District Court to be arraigned on the charges. This is an active investigation and anyone who has any information is asked to contact Detective Mark Poirier at 781-447-9673.